This DTC is stored when serial communication signals and LIN communication signals in the circuit between the power management control ECU and steering lock actuator assembly (steering lock ECU) are inconsistent. 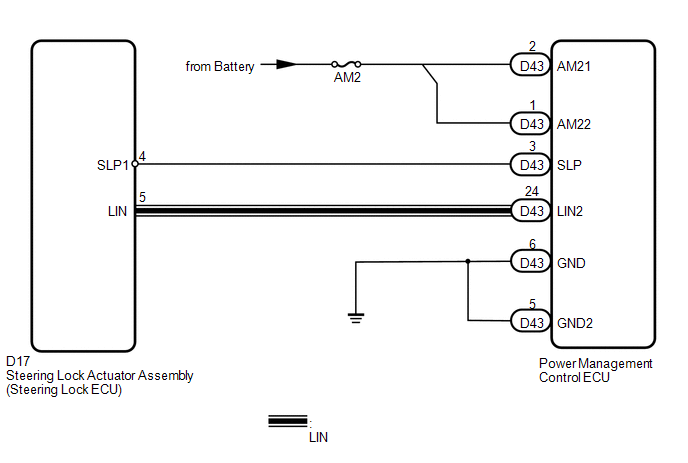 Cable and LIN information between the power management control ECU and steering lock actuator assembly (steering lock ECU) are inconsistent. (e) Check if DTC B2287 is output. (a) Reconnect the D43 connector to the power management control ECU. 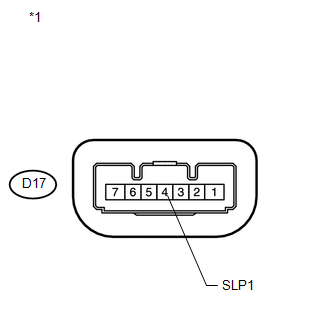 (b) Disconnect the D17 connector from the steering lock actuator assembly (steering lock ECU). ON (steering lock is unlocked) and OFF (steering lock is locked) appear on the screen.